The day is dedicated to research in lightweight cryptography, with the emphasis on symmetric-key cryptography targeting low-end devices. The day will be composed of a few lectures, a panel for discussions, and similar research-related activities for those interested in the topic. 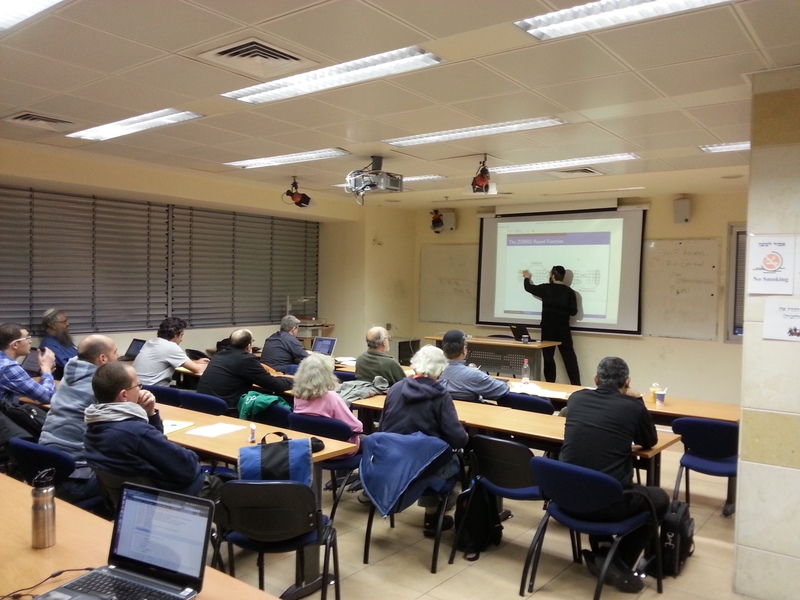 The date was chosen such that if you attend the Bar-Ilan winter school on Symmetric Encryption in Theory and in Practice, you could extend your stay in Israel a bit, to participate. Do note that you must register to the winter school separately. 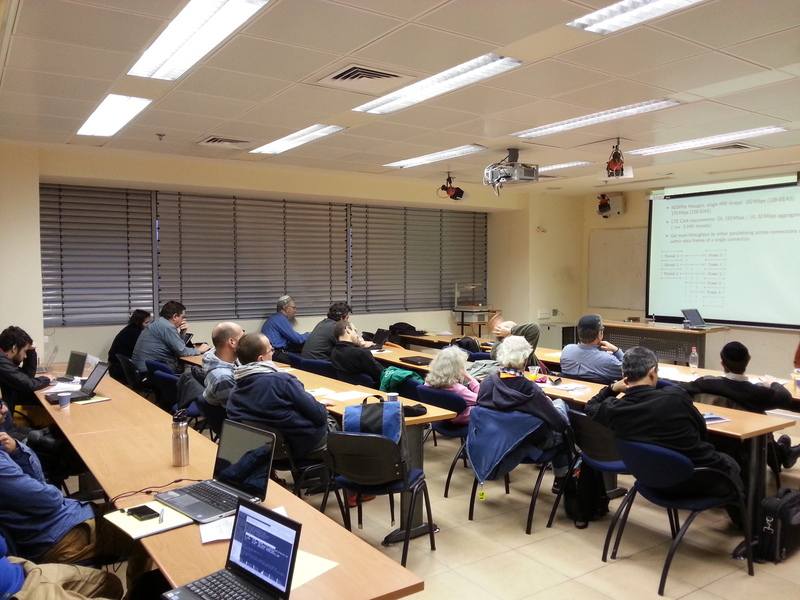 The day will take place at the Caesarea Rothschild Institute facilities - Room 570 of the education building in the University of Haifa. For the university's map click here. From the Hof Hacarmel train station (Haifa's southest train station) - 46 or 146 go direct. If in a hurry, grab any bus that goes to Horev Center (11,29,123,132,133), and change in Horev center (please note that 29 is the best option for the changing, as you change buses with no need to change stations). From Lev Hamifratz train station (Haifa's first station coming from the north): buses 141 or 146. From Horev center: buses 24,30,36,37,37a,46, or 146. For the complete list of buses, please consult this list or buses information. There is going to be one shuttle at 8:50 a.m. from Hof Hacarmel station towards the university. Leave the train station towards the side of the sea, and look for the person with the sign saying "Lightweight Crypto Day". 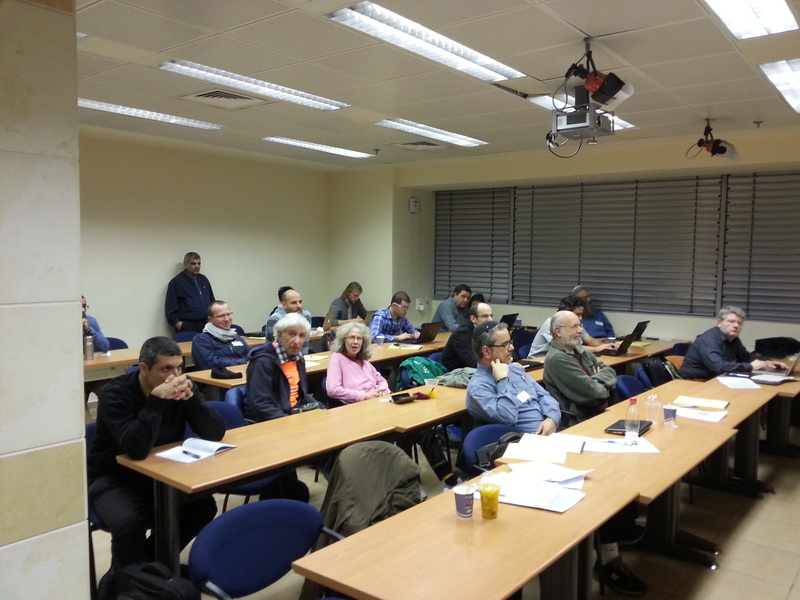 16:30-17:15 Discussion: What are the research goals in lightweight cryptography? Please note that all prices are for single occupant, and require that the reservation will be made through Ms. Friedlander at the university (email address: dfridl1 (at-sign) univ (dot) haifa (dot) ac (dot) il. Prices for deluxe rooms, and other accomodations are available as well (please contact Orr or Ms. Friedlander for more info). The program chair of the day is Nathan Keller. The local organizer is Orr Dunkelman. The generous support of the Caesarea Rothschild Institute is highly appreciated.